Edward Lear, Brown’s Parrakeet (c. 1831). Watercolour and pencil on paper. 40 x 29 cm. Plate 20 of Lear’s Illustrations of the Family of Psittacidae. 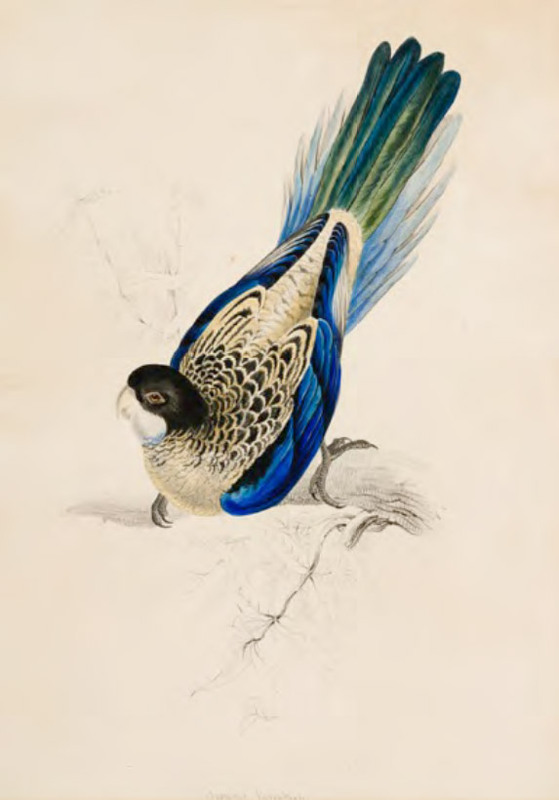 Edward Lear, New Holland Parrakeet (c. 1831). Watercolour and pencil on paper. 45.3 x 29 cm. Plate 27 of Lear’s Illustrations of the Family of Psittacidae. Justin Miller Art winter 2015 Catalogue. 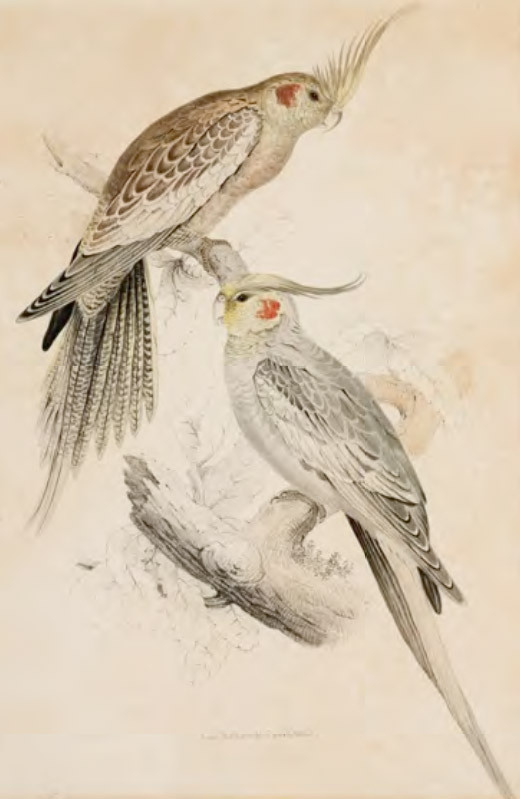 This entry was posted in Edward Lear and tagged Edward Lear, ornithology, watercolours, zoological illustration. Bookmark the permalink.